I am delighted that we will be holding a Whole School Remembrance day service this year on the 11th November. We will remember all those who have fought and died for this nation; those who have given their lives in the cause of justice, freedom and peace. 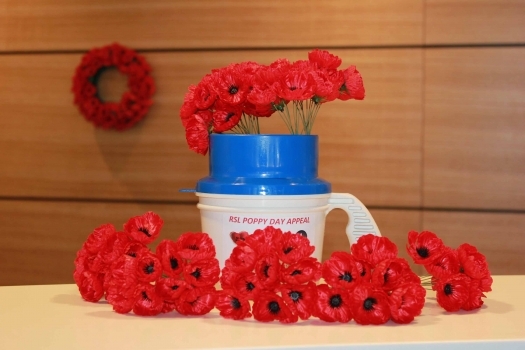 It is a day to remember the cost of the freedom in which we live here in Australia. The 11th hour of the 11th day of the 11th month attained a special significance in the post-war years. The moment when hostilities ceased on the Western Front became universally associated with the remembrance of those who had died in the war. That war resulted in 38 million casualties, with some 17 million deaths. The allied nations chose this day and time for the commemoration of their war dead. Unfortunately, although the First World War was supposed to be the war that “would end all wars,” we have had many wars since then. The Second World War followed and also resulted in the death of millions of soldiers and civilians. After that war, the Australian and British governments changed the name from Armistice Day to Remembrance Day. Armistice Day was no longer an appropriate title for a day that would commemorate war dead from other wars as well. Australian soldiers have given their lives in many fields of conflict in the world since. Sadly there have been too many soldiers that have come back to Australia in coffins. “Let us not use bombs and guns to overcome the world. Let us use love and compassion. Let us radiate the peace of God and so light His light and extinguish in the world and in the hearts of all men all hatred and love for power. Today, if we have no peace, it is because we have forgotten that we belong to each other - that man, ….. that woman, ….. that individual ….. is my brother or my sister. If everyone could see the image of God in their neighbour, do you think we would still need tanks and generals? It is certainly true that peace begins within each and every one of us! If we do not have peace ourselves, that will spill over into our relationships with others … and ultimately, as has so often been the case around the world, into conflict with other nations. May we all strive for peace in our lives, in our relationships, in our school, in our nation, and in our world.